Mesa Art Center classes are taught by experienced, enthusiastic and professional instructors who encourage the development of creativity. Students work in studios with state-of-the-art equipment. Offerings include Acting, Ceramics, Dance, Drama, Drawing, Glass, Jewelry, Metals, Music, Painting, Photography, Printmaking, Sculpture and more. Fall, Winter/Spring, and Summer sessions run from a few weeks to 16 weeks. Welding, Blacksmithing and Glass Blowing have clothing requirements such as natural fiber clothing (jeans/cotton), hair restraints and closed toed shoes. Glass and Metal classes typically have additional materials costs. Many instructors will have those materials available for purchase. About one week prior to start of Private Music class, the instructor will contact patron to set the time and place for lessons. Be sure there are good phone numbers and email address on file. Dance class, unless otherwise specified, will need comfortable fitting clothing that allows freedom of movement. Jewelry classes will typically have additional materials costs. Many instructors will have those materials available for purchase. Clay and ceramic tool kits are available to purchase through the Box Office. Once purchased, please present receipt to the ceramic instructors for pick up. Advanced Painting and drawing class often have supply lists that are extensive and specific towards brand. Please allow yourself time to purchase necessary supplies. No refunds for Workshops unless workshop is canceled by the Mesa Arts Center. One-on-one, semi-private lessons or Hot Shop studio rentals are available upon request. Students as young as 7 are permitted in some private lessons. Contact Billy Jones, 480.644.6541 to schedule. Do you have friends who would take a class with you if it fit their schedule, or would you like to create a unique fun family experience or a team building retreat for your co-workers? Many MAC instructors are happy to work with you to create a private class or workshop based on your particular interests and availability. Contact Billy Jones, 480.644.6541. Campus Map with Classroom locations. Mesa Arts Center is committed to making its programs and facilities accessible to all our patrons. If you need to request an accommodation to attend a class or workshop in the Arts Studios, please mention your request to the registration agent during the time of registration or call 480-644-6520. Not seeing your class? Not all classes will have posted syllabus information. Some Instructor will discuss what is needed during the first class session, or posted the necessary information in a email prior to the first class. Please make sure your email was provided during registration. If you have any questions please give us at call. Class Registration Desk: 480-644-6520. Some Art Studio Classes will review the required material during the first class. Instructors may also email you important class information. Please make sure the Class Registration Office has your contact email so you can stay informed. Posted syllabuses are subject to change and may be updated between sessions. Moreover, each syllabus in this database applies only to the specific session for which it was originally written. For more information, please contact the Mesa Arts Center Registration desk at 480-644-6520. Fee Assistance is available year-round to Mesa residents who meet income requirements. Fee assistance may also be granted to youth in foster care or social service organizations. Scholarships are limited and available based on funding from the Nancy Wolter Scholarship Fund and Arizona Community Foundation thanks to individual and corporate donors. Fill out our online application for fee assistance or scholarships by clicking here. Fee Assistance and Scholarships are determined based on funds available, necessary qualifications and may or may not be accepted. 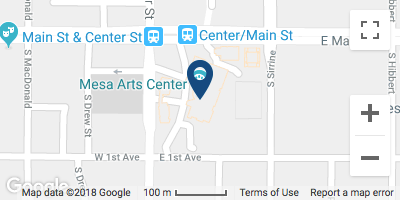 The Mesa Arts Center’s Ceramic Studio is an 8,000 square foot state-of-the art, well lit, inviting, efficient place to learn all aspects of working with clay. The ceramics studio is fully equipped to meet the needs of every level of potter, from beginner to professional, child to adult. We offer classes from morning to evening, Monday to Saturday. The studio has two main classrooms with over 30 wheels, 3 slab-rollers, 8 electric kilns, and 5 gas kilns including soda/salt, raku, and a 100 cu. Ft. car kiln for reduction. Instructors cover a vast variety of techniques including cone 10 stoneware, maiolica, low-fire, raku, and soda -fired stoneware. The drawing and painting studio offers many choices of classes in all levels taught by professionally qualified instructors. Choose from offerings like beginning to advanced drawing, colored pencil, figure, and portraiture study. Painting classes include watercolor, acrylic, and oil. The beginning classes all stress an academic approach to painting where continuing classes support any kind of painting style. All drawing and painting classes have a free 3-hour open studio and are also available through private instruction. Beginning and advanced study printmaking studio classes offer a variety of techniques including stencil printing, single plate monotype, collagraphy, monoscreen printing, and many more. All printmaking classes have a free 4-hour open studio and are also available through private instruction. The Glass Studio offers various length classes and workshops in flameworking, glassblowing, paperweights, fusing, sand casting, cold working, stained glass and kiln casting. Classes are offered 7 days a week, morning, afternoon and evening. All skill levels are accommodated. Classes are ages 16 and up except Beginning Flameworking (13 and up) and private lessons (10 and up). The studios are available for rental and private and semi-private instruction. Students enrolled in classes are given 4 free hours per week of Open Studio time to work on their projects independently. Non-students may rent time during Open Studio for two times the student hourly rate. Two studios house fully equipped facilities for jewelry and non-ferrous metal fabrication, casting, enameling, holloware, stone setting, metal clay, cutting cabochon stones, faceting gems and much more. Beginners learn the art and craft of metal work while accomplished artists and a stimulating environment where they can explore new techniques and develop and share ideas with other artists. The Jewelry and Metalsmithing Program was designed to teach traditional and ancient techniques as well as contemporary innovations using a combination of technology, history and art. The Dance Studio offers various length classes and workshops in American tribal belly dancing, contemporary/Jazz, ballet, ballet/tap, and hip hop. It features weekly workshops by the Epik Dance Company and accommodates dancers aged 3 and up. It is equipped with stage lighting, a wall-to-wall mirror, and may be used as a performance space. With a hardwood sprung floor that makes it conducive to movement, the studio provides an active space for its dancers. The Music Studio offers various length classes and workshops in drumming, guitar, and voice training. All skill levels ages 3 and up are accommodated. Private lessons are scheduled by the instructor and student. The Photography Studio is a full black and white processing lab. We offer beginning through advanced classes and workshops in black and white, digital and specialized processes such as photographing 2-D and 3-D artwork, pinhole, cyanotype and 19th century processes. Students master techniques while creating work that explores visual history, human-made forms and the natural world. The Sculpture Studio and Terrace provide a fluid indoor/outdoor space ideal for creating in a variety of media. Classes and workshops currently include welding, blacksmithing, knife making, bronze foundry and making Damascus steel. The Drama Studio offers various length classes and workshops in acting for adults and children, ranging from improv technique to stage combat. Classes are offered morning, afternoon, evening, and by appointment. All skill levels are accommodated. Classes are ages 3 and up and private lessons (13 and up) are also available. The Acting Studio has a particle board sprung floor with a marley on top and is equipped with stage lighting and a tech room. Workshops are available in all subject areas and are conducted by both local and visiting artists. Our Arts Camps run year round and have classes in Dance, Drama, Music, Puppetry and Visual Arts and so much more.